I had a rare weekend off this week and really wanted to make the most of it. 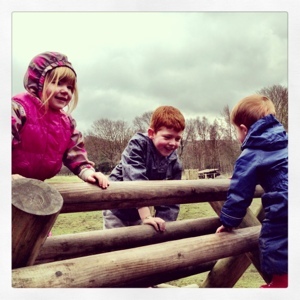 We decided to go back to gibside as we loved out visit in the summer. A farmers market would be at gibside this weekend and they were advertising a lambing weekend on their website where you could meet newborn lambs and chicks which sounded just up our street! 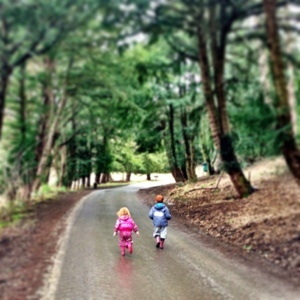 We dressed the kids in their rain suits and wellies and were soon there. The car park is being re-developed so there is a hike up a steep hill to get to the entrance. All part of the fun though! As always the staff were friendly and welcoming, pointing out on our maps where events were being held. They even let us have on map each to stop any fights! Entrance would normally cost £19.50 for a family, but as we are NT members it was free! 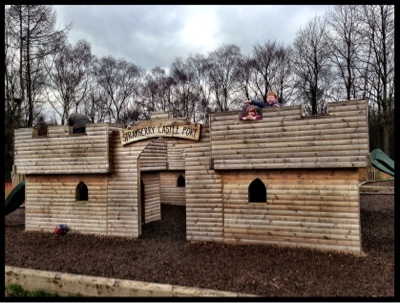 We started off taking a walk to the strawberry castle play area. Harry and Heidi love reading the map and finding the way. NT parks are honestly some of the best parks you could go to. We spent a good hour here getting muddy - climbing nets, crawling through tunnels, zooming down slides and playing kings and queens in the castle. It will be even better in the summer when the park has it's own toilet block and cafe so you won't have to walk all the way back to the entrance. We then decided to walk up to the stables which is a lovely uphill walk through the woods. Probably about a 3-4 mile round trip from the park. The walk was worth it though - we spent the whole time playing eye spy and it was a great way to just spend time together. The stables were great! We saw a baby lamb, 2 heavily pregnant sheep and some baby chicks. There was a chart where you could suggest names for the newborn lambs, we decided on wooly and fluffy! There is a great indoor play zone within the stables with a puppet theatre, playhouse, farm set, worksheets and more plus some seats for mum and dad. 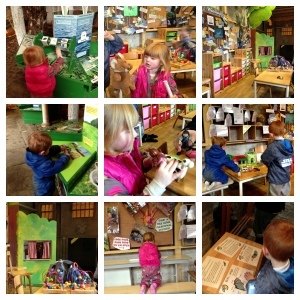 There is also an interactive wildlife room where you can learn all about the animals you might see around the Gibside estate. There is a cafe and a bookshop too, but we didn't visit today. The kids did start to get a bit whingy on the walk back to the car as their little legs were getting tired but soon perked up when we promised they could pick a cake from the market at the exit. (there is a free shuttle bus between areas every 30mins if you really can't face the walk) The market was small but perfectly formed with cakes, fish, chocolates, plants and crafts for sale. 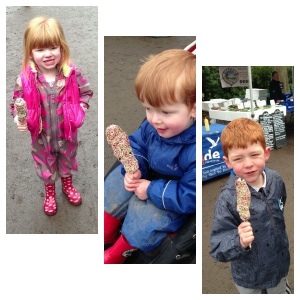 My 3 all chose a marshmallow lolly which soon put a smile on their faces again. There was a local band playing at the market and there is a cafe and shop plus a small park in this area too so it's the perfect place to stop for a while before heading home. 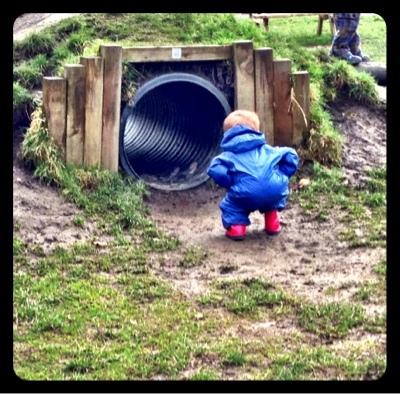 We have only been to Gibside twice, and both times have been fab. It is the sort of place you can easily spend all day and There is so much more still we want to explore - next time we are going to walk even further to the nature reserve and natural play area and when the kids are older we will definitely try out the rope challenge. There are also some yurts you can hire within the grounds which would be fab and on Friday nights in the summer the cafe turns into a big beer garden with live music and local ales. There is just So much going on!! This looks fabulous for a day out from the cannyvan!